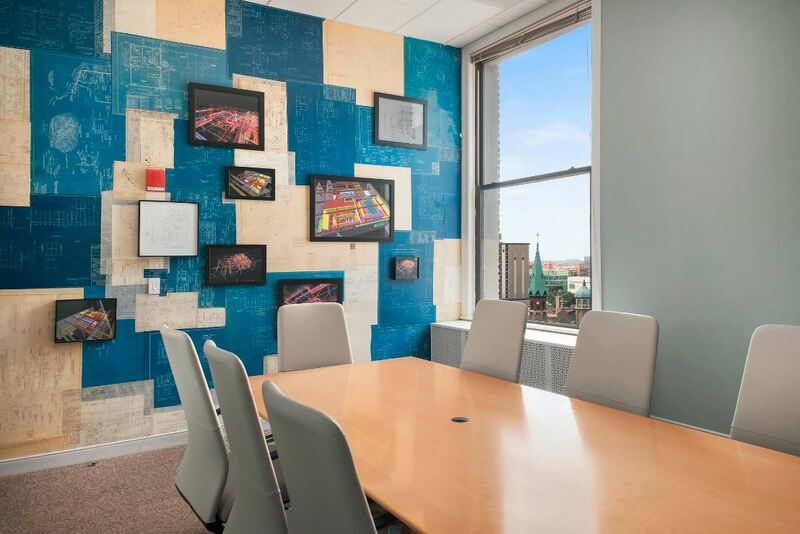 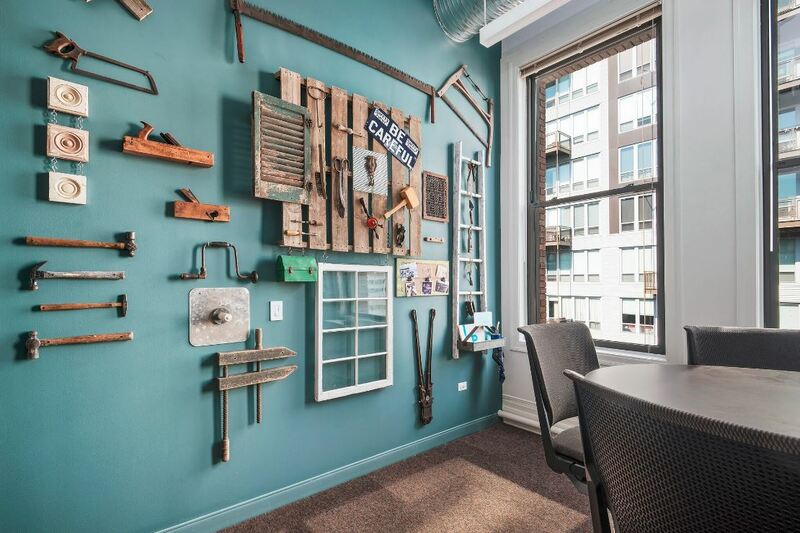 Founded in 1893, Reed Construction is a general contractor providing high-quality construction solutions to clients in Chicago and Washington D.C. 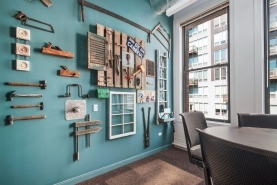 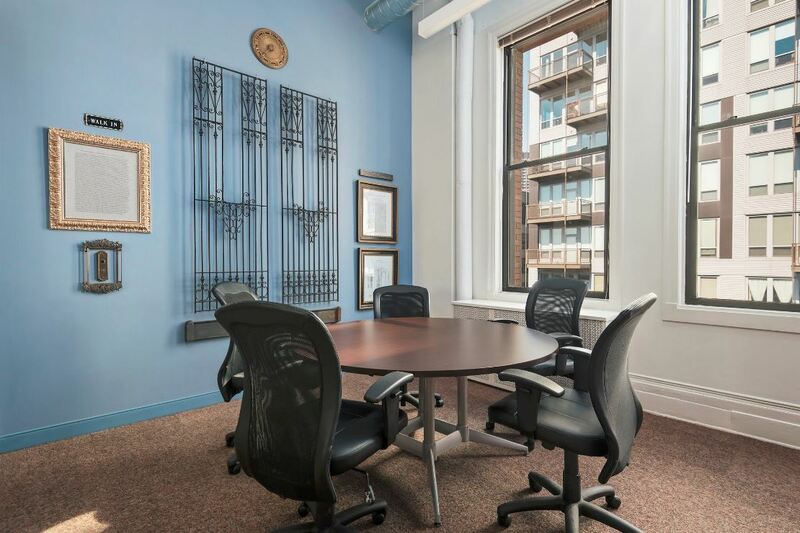 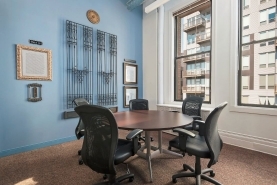 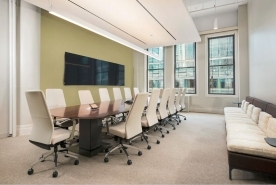 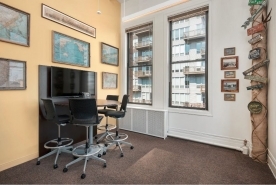 In 2016, the firm moved into a new office on the 8th floor of Burnham 600 in Chicago’s West Loop neighborhood. The new space features 15’ exposed ceilings, an open workspace layout, private perimeter offices and a board room with four 70” monitors for teleconferencing capabilities. 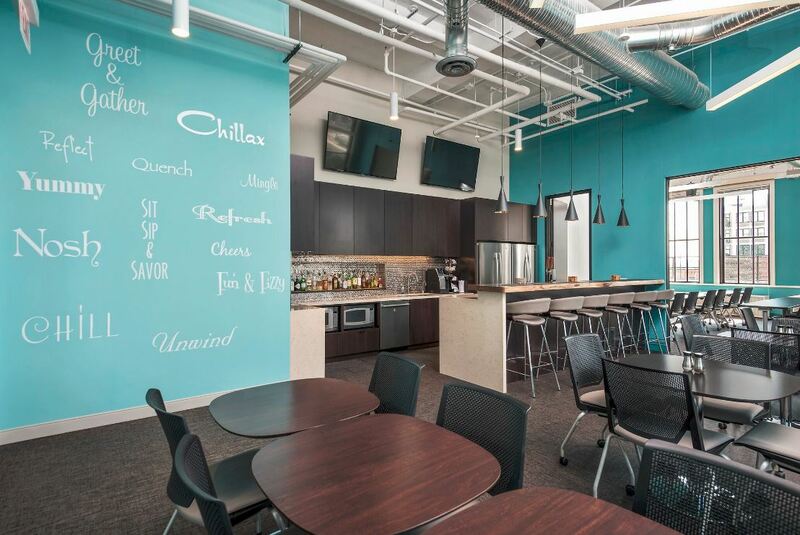 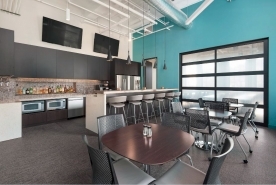 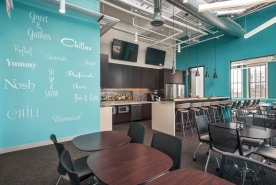 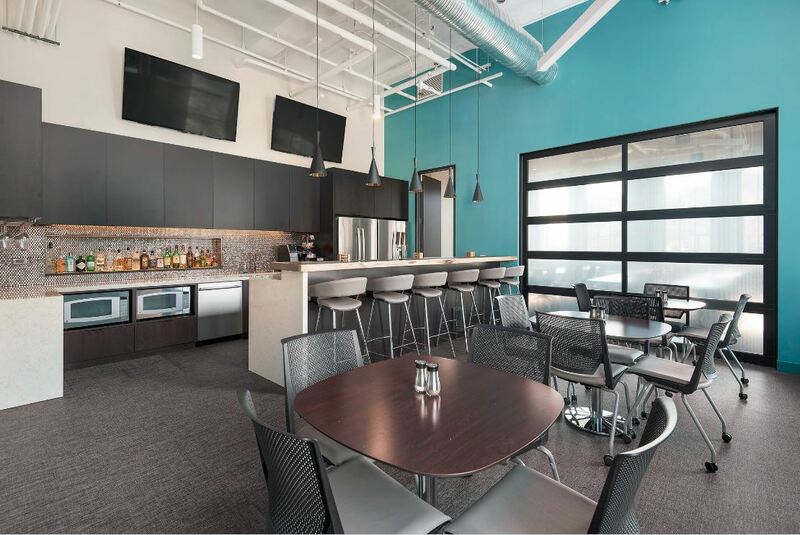 Four additional themed meeting rooms were included in the space, as well as a large kitchen and training room area, both of which are separated by a fully-operational garage door. 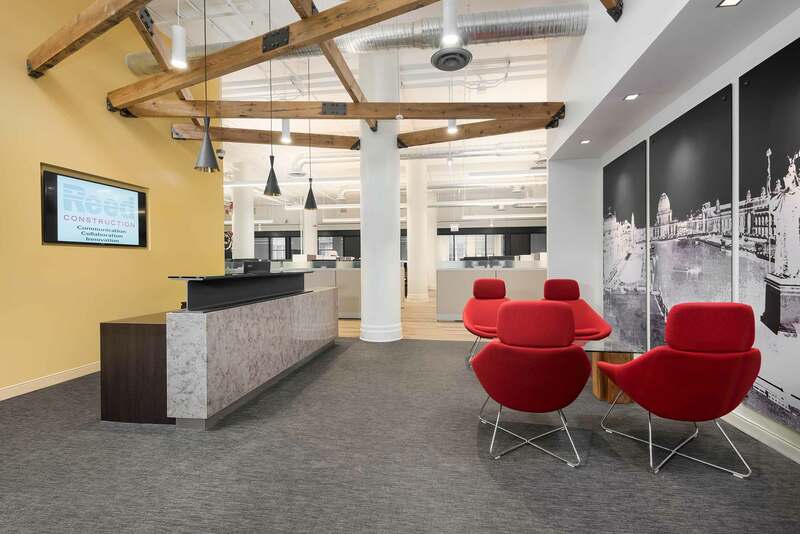 The design features of the space include modern high-end finishes, and unique tributes to the extensive history of Reed Construction.